I firmly believe that the Vice President for Student Life should stand for the lives and benefit of all students, not just the majority or those who choose to be involved, and therefore, fostering an [Undergraduate Student Government] that works with all students is integral for the betterment of Tulane. Some of the initiatives I would enact and support as VPSL would be the public awareness campaign surrounding on-campus STI testing, improving Tulane’s transportation system to give access to various religious centers in the Greater New Orleans area, and pushing the DIEC review process to make the legislation that sees the senate floor the most impactful and inclusive it can possibly be. Tulane should strive to increase the staff that works for and with students of color, bolster the number of inclusivity training and facilitations that our community can attend, and improve the relationships between students and faculty when it comes to advising and tutoring. We as a USG should commit to increasing the number of events geared towards facilitating and improving the relationship between TUPD and people of color through town halls or student forums: because we represent our constituents, their issues become ours and it is our duty to be a vehicle for conversation and true change. I am one of these students and have openly expressed my disappointment with other student leaders who hold positions in USG due to the “blanket statements” made throughout their campaigns. 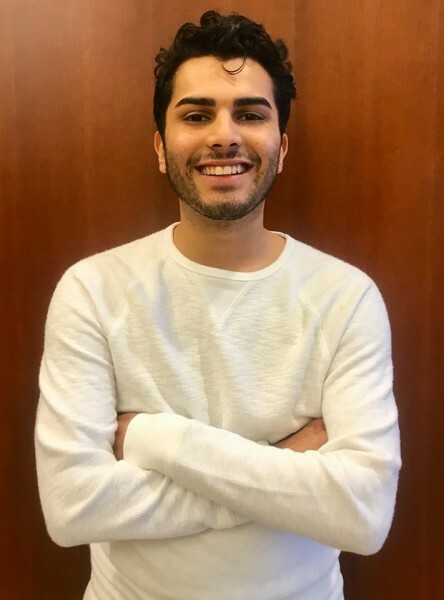 As a senator, I have invited other senators to DIEC, have gotten other student representatives to work with me on initiatives that will better Tulane for all students, and have opened my schedule to discuss the issues that students of color face on our campus: I commit to continue this work as VPSL and empower the new senate to work for ALL STUDENTS. I intend to hold all members of the senate accountable to the promises they made, and this will hopefully disseminate the workload is among multiple members of the senate, not just the students of color who are affected or need to care. I have not, however, I do commit to attending one in the future. I believe that these workshops empower the student body to make impactful change and it is important that our student leaders be well-versed when it comes to systematic oppression and the effects it can have. Yes. Our university unfortunately has a history muddled by racism and white supremacy, however, this history should not impede the change the Tulane community deserves. Buildings like Hebert Hall promulgate ideologies inconsistent with the future course of our university, and I believe that it is USG’s direct role to hold the administration accountable for its shortcomings. In DIEC (the committee I have sat on for two years now) I have avidly suggested the protesting of Hebert Hall and even a fundraising effort to counter the financial ties that keep the Hebert on our campus, and I am excited to continue these conversations as VPSL and see them to fruition. First and foremost, I acknowledge that I am not an expert when it comes to the Israeli-Palestinian conflict however, I do know that Tulane’s Jewish community outnumbers the Arab representation on campus, and therefore the dialogue can seem very one-sided. These conversations have been ongoing, and as VPSL I commit to listening to the concerns of both sides and making Tulane a place where students, regardless of their stance, feel safe, empowered, and corroborated. Yes, I did attend Shifting the Paradigm. I am not involved with organizations like SAPHE or One Love that do sexual assault prevention, however, the work they do is integral to reducing sexual violence on our campus. USG must continue to support these organizations and be at their disposal to better our community and ensure the safety of all our students. I believe that Tulane’s work in educating the incoming class about sexual assault prevention could improve, and as VPSL, I want to work with Admission and NSLP to ensure the conversations surrounding prevention and education end with orientation. Tulane has improved the discussions surrounding mental health, but we are no where near perfect. CAPS counselors should be representative of the students they serve and actively work to make therapy accessible to all students. The culture surrounding mental health at Tulane is also not perfect. I have seen students equate their busyness to success, talk about stress as if it more of it makes you somehow more professional, and ignore the destructive “do-it-all” culture that we find ourselves in. We should work to deconstruct the preconceived notions surrounding mental health services and improve the student life by supporting an inclusive CAPS experience. I plan to work effectively with the Well and the Student Health Center to ensure students have access to the resources they need to be safe and healthy. I am also interested in expanding the range of Tulane’s shuttle and transportation to include free testing centers and health professionals equipped to address student’s reproductive needs. I believe that overall our campus is accessible, but there are some outliers. Irby, Phelps and Josephine Louise are three of our dorms that are not wheelchair friendly, two of these will be demolished, but throughout the next year, I am excited to work with [Diversity and Inclusive Excellence Committee] and any other interested parties to address [Josephine Louise Hall]’s accessibility and ensure all students can enjoy our campus regardless of ability. I do not, however that does not mean I am not passionate about the potential change that is to come. I have seen the impressive work done through and by the Director of Sustainability, and I believe that instituting more programs like the 15-cent tax on plastic bags will prove to positively impact Tulane and New Orleans. 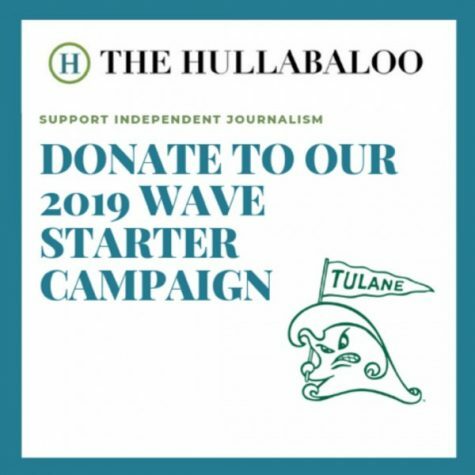 Again, I am not well-versed in Tulane’s environmental interests or the current work being done, yet I would like to see our university expressly dictate how they are to reduce their carbon footprint and what they are doing to reduce the impacts of climate change. It’s not an overstatement to say that climate change is the civil rights movement of our generation, and it’s current and future Tulanians who will be directly impacted by climate change. USG should stand for its constituents’ best interests, and as VPSL, I will see that our administration is held accountable for its actions. The city of New Orleans and public service are two of the main selling points of our university and the unique student experience we provide, however the city is negatively impacted by the apathy exhibited by students when completing their service learning requirements. There is often no consideration for the communities they are serving, and the work sometimes comes with an immense white-savior complex. I believe through our Center for Public Service we could better educate students before they perform their service learning and help foster a better cohesion between our city and the students that inhabit her. Absolutely! Bluntly, the only thing different between “male” and “female” restrooms are the urinals. It is time to be truly inclusive and give students the basic necessities they deserve. As VPSL, I will continue to make the student experience equitable and inclusive for all students and support the push for All-Gender restrooms. I have not been to a Trans 101 or LGBT 101 training, but I have attended programming by Tulane’s Rainbow Alliance, The O, and The Center for Academic Equity among others. I believe that normalizing the use of pronoun introductions, continuing the work for all-gender restrooms, and eliminating the binary issues regarding the various Housing and Residence Life applications will make our community more inclusive for all students regardless of gender. I passionately believe USG should have an active role in increasing voter turnout across all elections. We as a body must stand for the betterment of our communities and one of the most direct ways to do that is to vote. The discussion is preliminary and must be continued, however I am in full support of directing appropriate measures to ensure Tulanians are engaged with the national political sphere. I love Tulane. The opportunities given to me by this institution, the friends that I have made, and the impact I have been able to make in two years would not have been possible without the backing of such a reputable and engaged community. I love Tulane, and because I love this school, I see its potential. I want to make this campus a place that all students, marginalized groups like students of color, queer students and trans students included, can brag about. I fit into two of these categories and too have felt on the outskirts of our school, like I don’t belong, like I don’t have a place. I firmly believe that if you’re not a part of the solution, you inherently become a part of the problem, and I want to be the one drafting solutions. I want all students to have access to secure, 24/7 study spaces. I want all students to have access to free, confidential STI testing. I want all students to be able to depend on their university to support their mental health. 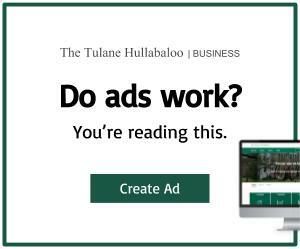 I want a game room, extended shuttles, better dining options, equitability, egg chairs and blankets in the library, and more Tulane traditions! I want the future of Tulane to be more diverse in every applicability of that word. I want people from all walks of life on McAlister walking to class, going to work, or lounging under the oaks. I want all students to love Tulane as much as I do, and I believe together, we can make monumental changes that will impact the scope and vision of this university for years to come.